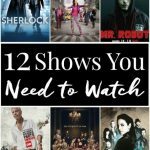 These 9 Shows You Should be Watching on Netflix are some of the best, but you’ve possibly never heard of or seen them, so get binging! PIN IT TO YOUR PINTEREST BOARD! Sorry, I skipped out on you guys last week with the Netflix post, I was in Canada without much internet and completely forgot to draft it up before I headed north. However, I’m back with a selection of shows that are well worth the wait. You’ve probably been waiting to watch some of these shows for years, either because you haven’t had time for a proper binge session, or maybe you’ve never even heard of them. These are the shows that you NEED to be watching but probably aren’t. Over half of them deal with the supernatural, the same goes for cop/mystery, and then there’s one that’s just plain great even though it’s about a family and football in Texas. This isn’t a list with something for everyone, but I would like to think some might step out of their comfort zone to try at least on of them out because they’re all amazing in their own way! 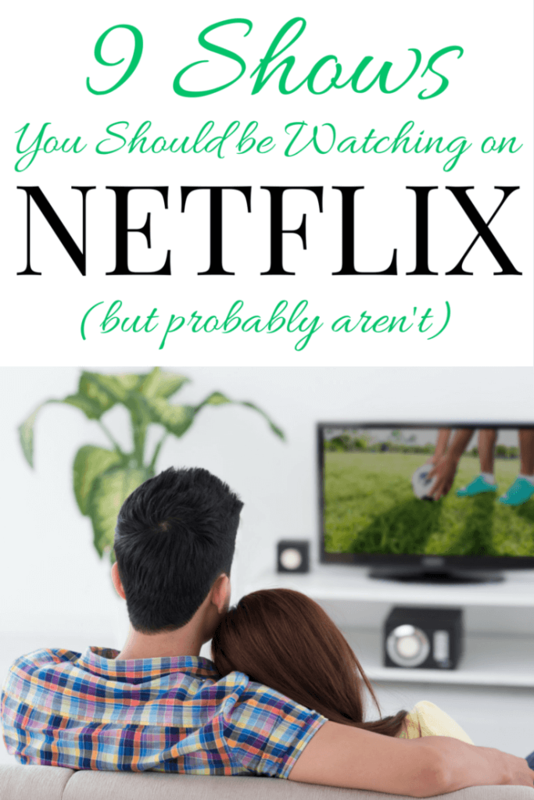 Click for Your Guide to a Cable-Free Life! The Following – The first two seasons are already available, and the last is sure to be coming soon. This psychological thriller of a show focuses on a cult of serial killers who have built their foundation on the words of Edgar Allen Poe and the “craziness” of one man. Kevin Bacon plays FBI agent Ryan Hardy, who’s assigned to the case. The writing is excellent and occasionally creepy. The twists and cast will keep your attention but have an episode of something like Big Bang Theory queued up to watch right before bed. Haven – Stephen King and Supernatural fans, this show is for you. If you’re from Maine, you’ll love it even more, though it’s actually filmed in Nova Scotia and they can’t pronounce Bangor. It’s a SyFy show about young FBI agent Audrey Parker, who gets a case in Maine. What she finds there are The Troubles and also discovers that she might not be who she thinks she is. Based on The Colorado Kid by Stephen King, this show is intriguing, fun, and you’ll love the cast! The Blacklist – For some of you this might be a not brainer, it sure is for us. However, I can’t tell you the numbers of times I talked to friends and family only to discover they’re not watching this show yet! SERIOUSLY! Screw Game of Thrones, The Walking Dead, and House of Cards… in my opinion, this is the best show on TV right now! James Spader plays Raymond Reddington, one of America’s Most Wanted, who gets caught and makes a deal to help a special FBI unit bring down the world’s greatest criminals. Spader is incredible in this role and the female lead, Elizabeth Keen, gets better as the series goes on. Watch the first season and the second season should be available for streaming this fall. Being Human – So you actually have two options here, the American version or the British version. We’ve seen some of both and agree that the American version is better. Three twenty-somethings live in a house together trying to live a normal life, the only problem: one is a ghost, one is a werewolf, and on is a vampire. They do their best to be boring everyday people, but we all know how that goes. Friday Night Lights – We were late comers to this show, and you know where we watched it? That’s right, Netflix. The series follows Eric Taylor, a high school football coach, and his family through 5 years and five seasons. It’s drama at its best! You probably have to enjoy football to like and understand the show. It does a good job of capturing how football is different than any other sport, especially in Texas. 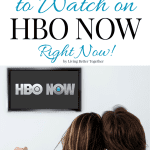 The show is emotional and riveting, and the characters will attach themselves to you in a way that will leave you slightly depressed when you hit the end of the series. White Collar – It’s pretty much Ocean’s Eleven/Catch Me If You Can as a TV show. Neal Caffrey is a white collar criminal who agrees to help the FBI after being caught. Not to be confused with The Blacklist, they are two very different shows. White Collar is fun with very little violence. It’s well written; the dialogue is witty, and it’ll leave you rooting for both sides! Shameless – It took my hairdresser and my parents bringing this show up for years before Matt and I finally binge watched it in 3 weeks earlier this year… yes, you read that right, 8 seasons in 3 weeks… this show is addictive. And it’s so bad, I mean it’s good, but it’s soooo bad. And in the end, you’ll probably feel slightly ashamed for enjoying it. Raising Hope – This is one of those laugh-out-loud comedies that’s good for just passing the time without much thought. And there’s a good chance when I have kids, we’ll celebrate ALL the holidays because of this show. The show only lasted four seasons, but it was a good run and a real joy to watch. And as crazy as it is, I’m sure that there will be a few things you can relate to in your own family… and that should terrify you. The Originals – Okay, so I’ll be the first to admit that The Vampire Diaries wasn’t that great of a show, but I watched it through until the end because it was a serious guilty pleasure. But the spinoff from the show, The Originals, is actually really well written and the cast is fantastic, even Matt watches it. So I encourage you to give it a chance, because I have a feeling you’ll get sucked into the magic and supernatural of New Orleans. 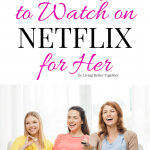 More TV and Movie lists to keep you entertained! This post was updated July 2017 to account for Netflix lineup changes. Shows that were originally included are: Buffy The Vampire Slayer and Warehouse 13. We love Parts Unknown too, it’s an excellent show and it will definitely be on one of this year’s lists! I’ve been totally addicted to Person of Interest! (the first three seasons mostly) the overall plot seems somewhat tacky, but it’s definitely one of the most well thought out shows I’ve ever seen. I’ve watched a handful of episodes and it does look like a decent show! The Killing is a Netflix Original show that I just binged on. 4 seasons & just plain riveting! I’ve hear that’s good too, we might have to binge it this summer! Hey Krysta, we’re all entitled to our own opinions, right? We enjoyed them both and Aiden Turner is definitely a fantastic actor! Another show that I really enjoyed was Heartland! It’s a horse show that runs in Canada. The only problem is that there only 7 seasons that run on Netflix. There’s 3 more season that aren’t on Netflix. I just thought I would put that out there! Longmire is the best ever. Watched every episode.